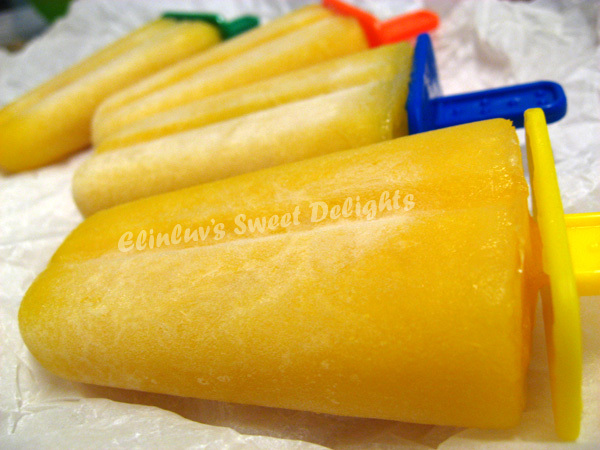 Blend all in a food processor . Pour into tupper and let it semi set for 3/4 to an hour in the freezer, take out and churn again in food processor for 2-3 minutes. 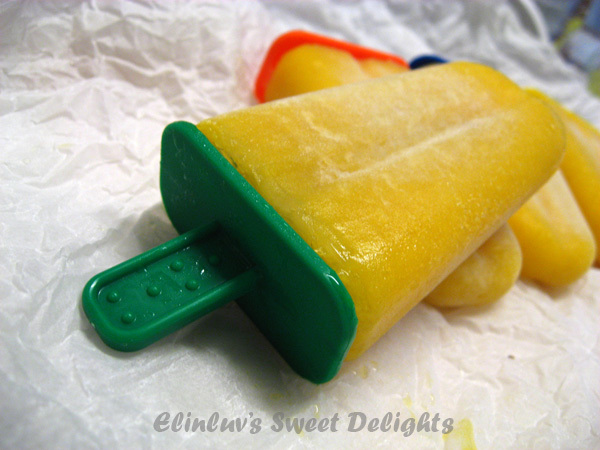 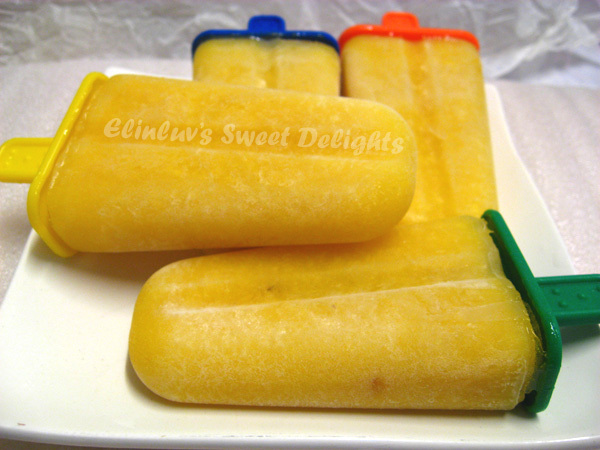 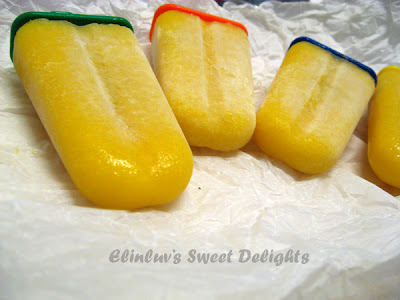 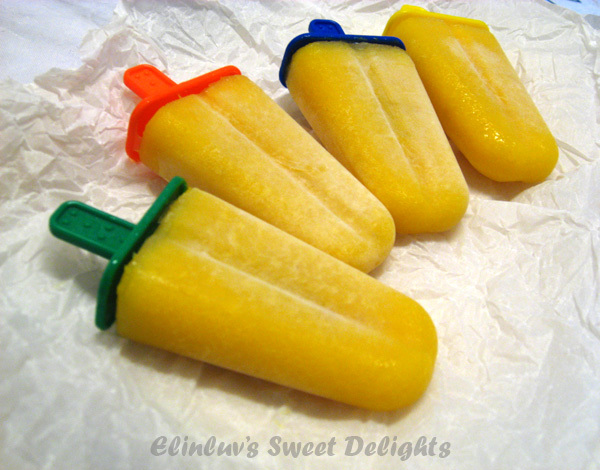 Then pour sorbet into popsicle tray and freeze for a day. i see 1,2,3,4 popsicles..did you save any for me? haha!